Rojukiss A-Solution Set (Rojukiss A-Sol + Rojukiss A-Serum) as 50% discount ! #Package for sensitive skin - USD 51.98 -> USD 25.99 (50% discount)! - Free delivery around the world. - Rojukiss is launched in Korea, Hong Kong, Thailand, Taiwan etc. - Rojukiss received the HWB(Health, Wellness and Beauty) Award for 2 consecutive years. It is for oily or trouble skin! – It is for concerning people about the excessive secretion of sebum. Prevent your skin trouble in advance! 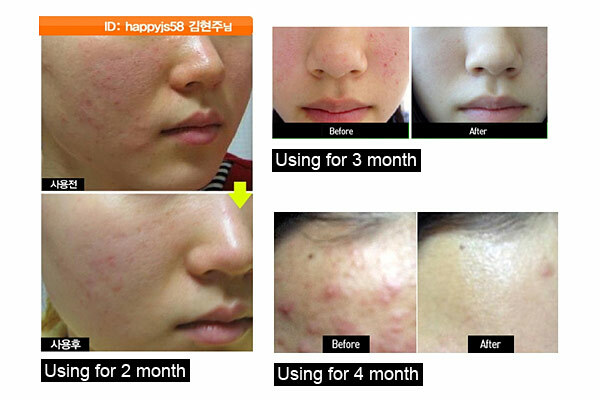 – It is prevent skin trouble from the excessive secretion of sebum. It will leave you feeling cool and refreshed! – You can feel refreshed all day long by reducing the secretion of sebum. 1. Put some A-sol in your palm. 2. Apply it liberally and evenly around the troubled spots except for eyes and lips. It is good for sensitive skin! – It provides moisture to the skin sensitive to stress, air pollution and accumulated fatigue. Outstanding effect for the soothing skin! – It forms the moisture layer on the skin and soothes the skin. Moisturize skin all day long! – The natural ingredients from plants moisturize dry and sensitive skin. 1. After washing your face in the morning and evening, apply it on the sensitive and troubled skin. 2. Depending on the skin condition, you can use it more than once a day. 3. It is best to use it with Rojukiss A-sol.